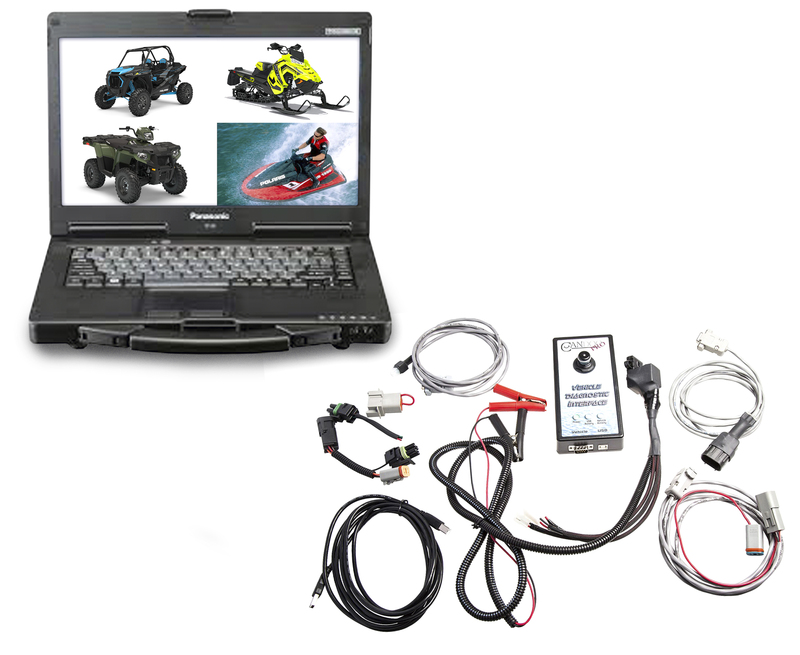 The CanDoo Pro All-In-One for Jetski, PWC, and Power Sports Complete Toughbook Diagnostic Package. This package is a really nice diverse diagnostic package, this is excellent dealership coverage. This package comes all set and is ready to work with the Toughbook, Software and all cables. When this Marine Diagnostic Tool arrives it is set up ready to go and work for you. This package arrives fully licensed ready to go. We will include all cables so your able to meet your coverage needs below. This kit does full dealer level diagnostics and most importantly unlike most other systems you are able to code and replace key systems. The Panasonic Toughbook comes with i5 processor, Win 10, 2.2 GHZ and 4GB hard drive. The Toughbook includes lifetime warranty on all parts and labor. Ski Doo snowmobiles from 1996 to 2018, including Carb, PowerTEK, SDI, 4TEC, ACE and ETEC engine systems.